Security at its best is every industries dream to achieve. We offer Milestone SDK plug-in integration that help the end user to manage the surveillance video in more effective way. Our team of developers have the skills to develop applications and plug-ins using Milestone Video Management Software Development Kit. 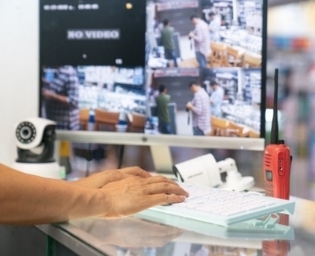 Our robust surveillance solution suits any business needs & it is capable of assisting you to keep watch on what matters most., protect, manage a multi-site, access video from anywhere & any device. Powerful IP video management software solution help solve all of your video system challenges. Third party server alarm integration triggers notifications to admin during event like server failure, power cut, fire alarm etc. Build your surveillance system on a solid foundation with Milestone Video Management Software – #1 Video Management Solution.